OnePlus 3, 3T series meet OnePlus 2 fate; Will OnePlus 5 get Android P? OnePlus 3, 3T confirmed to get Android O update, but this will be last major update to the devices leaving many device owners fuming and this also raised questions whether OnePlus 5 too will meet the same fate next year. Couple of months back, OnePlus came under lot of scrutiny from tech critics and fans alike, for the company's appalling decision not to upgrade its 2015-flagship OnePlus 2 to the Android Nougat. Now, it has come to light that 2016-series models OnePlus 3 and the 3T will also meet the same fate. This comes straight from the company, leaving many device owners fuming. Oliver Z, Head of Product at OnePlus during company official blog's Q&A session confirmed that OnePlus 3 and the 3T will get the upcoming Android O, but it will be the last official update. Only solace the company could offer was that it promised to roll-out regular incremental update in the form of software patches to fix any glitches in app such as camera experience, device user-interface optimisation, battery life improvements and security firmware. "David [Q&A co-ordinator]: How long will the OP3/3T continue to receive software support? Oliver: Android O is going to be the last Android version update we'll release for OP3/3T. We'll continue to release security patch updates for the foreseeable future, and offer support for individual application updates. After the OP3/3T have been updated to Android O, we'll start moving the Open Beta Program from OP3/3T to OP5.!" The announcement comes as a shock to many OnePlus fans, as the company is known for its pro-consumer initiatives including taking feed-back from registered developers for improvements and offer long-term software roll-out support scheme. Why this issue is such a big deal for OnePlus device users? Well, to begin, OnePlus and other Android affiliated OEM (Original Equipment Manufacturers) have a treaty with Google to offer a minimum of 18 months of Android software support. So, OnePlus 2 was eligible to get Android Nougat, but it's not getting the update. Similarly OnePlus 3 (launched in June 2016) and the OnePlus 3T (November 2016), which is little over 8 months old in the market, are deprived of getting Android P series OS update. Yes, some OEMs are known to renegade their promise of the rolling out the software update to the phones, but they have so much devices in their product portfolio, they sometime neglect them. Unlike them, OnePlus has a very limited number of phones to cater too, then why this apathy is the fans and OnePlus 3 series owners ponder? Logically, OnePlus 3 will go past the 18 months obligatory software support period, but its upgraded version: OnePlus 3T deserve to get more. Will this affect OnePlus 5 sales? OnePlus 5, which came with Android 7.1.1. Nougat out-of-the-box, will get Android O, most probably by the end of the 2017. Now, going by the OnePlus statement with regard to OnePlus 2 and its successor OnePlus 3 (& 3T), there is no guarantee that OnePlus 5 will be eligible to receive the Android P in 2018. Rival brands such as LG, Samsung, Motorola and Sony, among others, though a bit slow in rolling out the update, they deliver (90% of the time) it to their respective devices. Some brands like HTC go an extra mile by offering 24 months (HTC Advantage scheme) of software support to their devices. Even the former mobile pioneer Nokia ( via HMD Global Oy) has promised to offer two years of Android OS support to its mid-range and entry-level phones—Nokia 6, 5 and 3. So, if rivals are doing their bit, why can't OnePlus with limited number of products in its portfolio, offer longer software support? OnePlus 5 comes in two model—6GB RAM+64GB storage and 8GB RAM + 128GB storage—for Rs. 32,999 and Rs. 37,999, respectively in India. Also read- OnePlus 5 vs OnePlus 3T: is it worth the upgrade? Though this very less priced and really good performer, on par with other flagship phones in the market, OnePlus 5 series is still the most expensive compared to previous iterations. 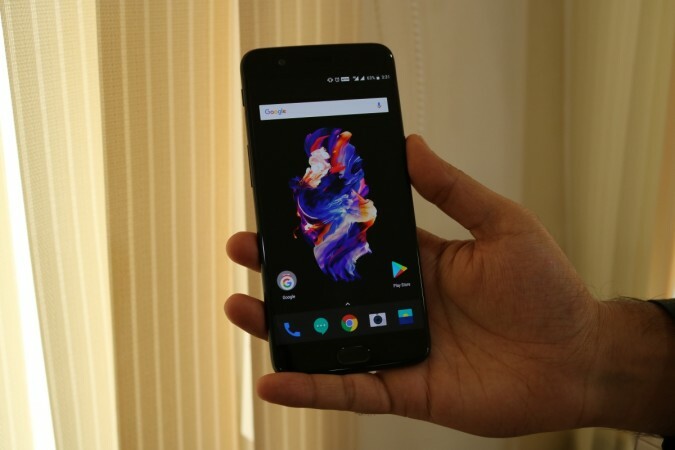 With OnePlus declining to offer second update to its predecessors, prospective OnePlus 5 consumers will be little apprehensive to make the purchase unless the company officially announce the 2017-model will get the Android P next year. If the company does confirm to release the Android P update in 2018 to the OnePlus 5, we have no hesitation to recommend it to our readers. Follow us @IBTimesIN_Tech on Twitter for latest updates on OnePlus products.